Since I left Düsseldorf five six years ago, we have been coming back every year for the Düsseldorf Christmas market. It has just became a tradition: we come to Düsseldorf the last weekend of November (normally the first advent) for the Xmas market and to meet our friends. In the past six years, we have only skipped once our visit: the year Liam was born! (not such a good idea to travel with a 3 weeks old premature baby). But the year after it, we took him to the Christmas market and I have to admit we had to make some adjustments. The first day we took his stroller with us and we realized that it wasn’t so easy to walk with all the people. That’s why the next time, we left the stroller at home and wear our baby in a baby carrier. This way we were able to walk more easily through the Christmas market. 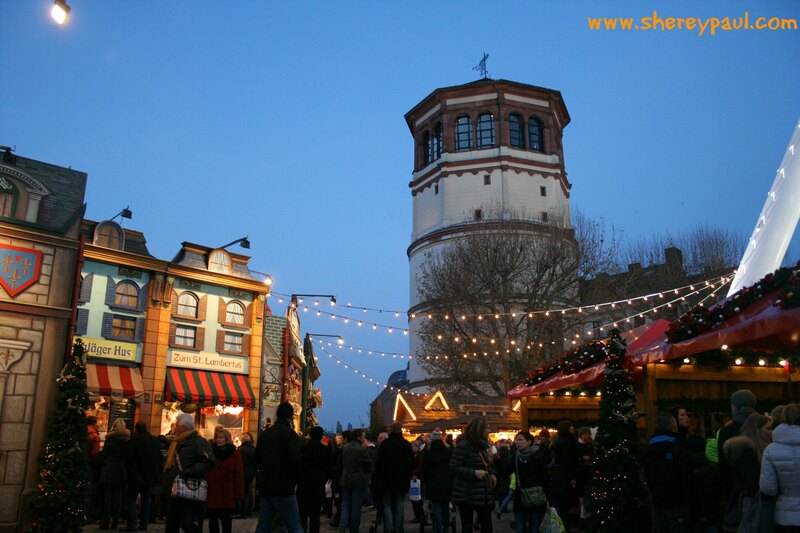 In Düsseldorf, you can find Christmas markets in different parts of the city. 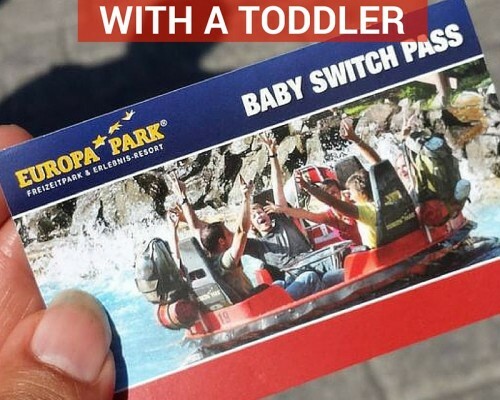 So you can also try to go to one of the less crowded ones. For example, in the city centre you can go to the Christmas market in the Marktplatz (where the city hall is), but this one (from our experience) it’s normally crowded and not so fine if you’re there with children. Instead you can just walk to the Burgplatz. The Christmas market here has more space and of course you can enjoy a Glühwein (hot spiced wine) and shop Christmas items. 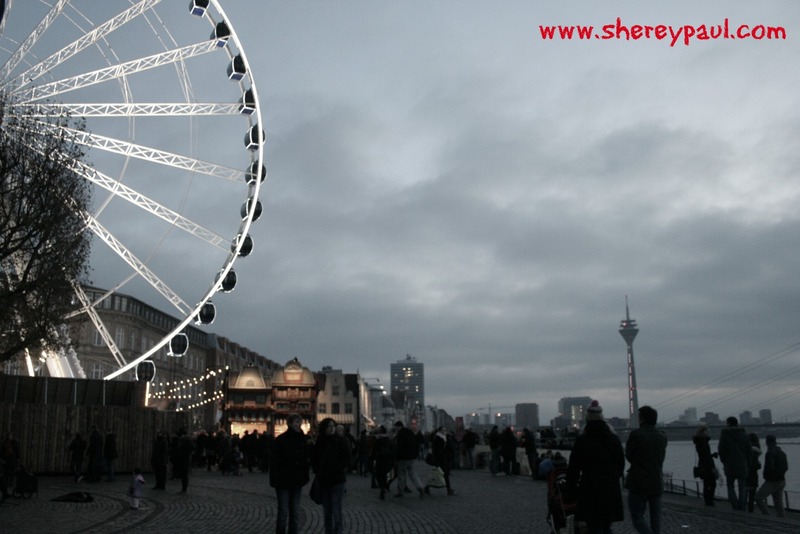 The novelty this year was a wheel also located in the Burgplatz, overlooking the Rhine and the Rhine promenade. A good way to entertain the little ones. Also a good spot to entertain the little ones is the Christmas market around Jan-Wellem-Platz, there you normally can find an ice-skating rink and a mini carrousel as well some “tents” to sit inside (perfect for the rainy and cold days) and enjoy the Glühwein. Start your day with a good breakfast or brunch, you can read about our favorite brunch spot: Bastians. Followed by a bio & vegetarian Bratwurst at Fritte (Ackerstraße 181) (this one has closed 🙁 ) or a drink in the Noordstrasse, for example at Himmel & Ahd or at Florian. For dinner, you can eat anything from the street vendors. 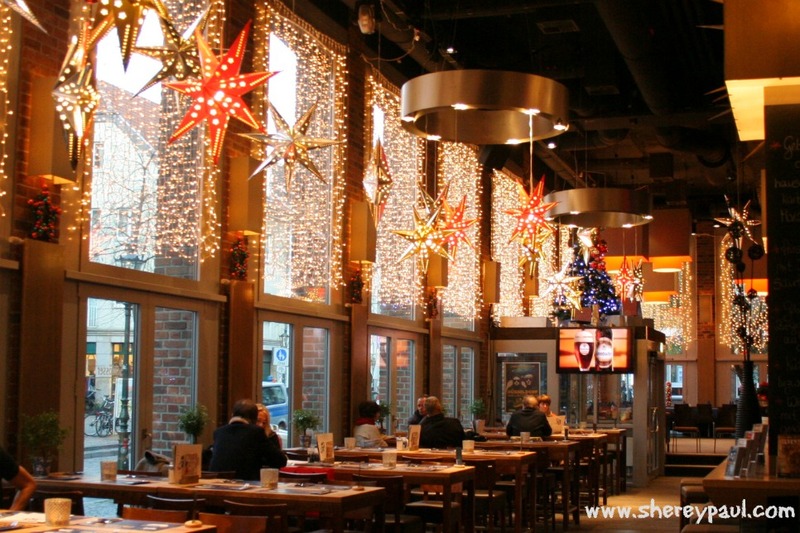 There’s enough choice: from Bratwurst to Flammkuchen, backed potatoes to crepes… But if you prefer to sit down (more convenient with young children), you can head to the Ratingerstrasse and choose from one of the breweries such as Füchschen or Schlösser. We went to the second one and almost every table was reserved for dinner, so either go early or reserve a table in advance. They felt they were very child friendly, they offered us a bigger table than needed and seats for the children. We didn’t ask for a children menu because Liam used to eat from our plate. 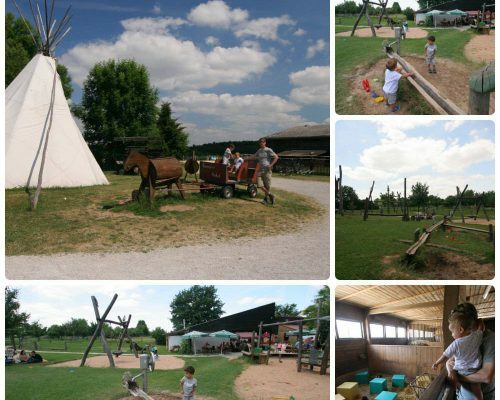 If you’re coming with children, we would recommend to stay at least one night and to choose one of the hotels near the centre. 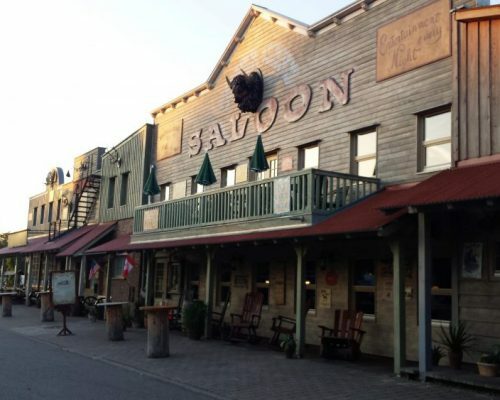 We have a good experience with the hotels around Derendorf, they have a good price-quality ratio. With one child, we have stayed in NH Düsseldorf City Nord and Mercure Düsseldorf Zentrum. If you are coming with two kids, the search for a payable hotel would be harder. In 2017, we tried Holiday Inn Express Duesseldorf City Nord and it was a great choice! In 2018, we have again booked the Holiday Inn as the room has a double bed and a sofa bed. There’s not so much space left when the sofa is open as a bed but still fine for a weekend. Also, a plus point is the free breakfast buffet and the lowest rate (check the price in booking.com). 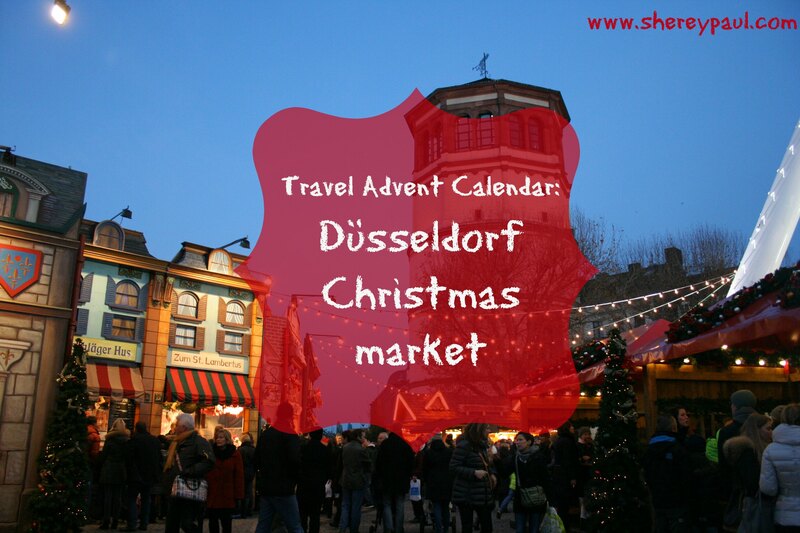 I can only say, go to Germany and experience the Dusseldorf Christmas market on your own!! This entry is part of the #traveladventcalendar: a countdown to Christmas with a daily post from one of 24 amazing travel bloggers. Check all participants here. Beautiful! I remember walking up and down this place around this time of year in Dusseldorf. I cant wait to visit the city again soon. I’ve been to lots of Christmas markets in Europe, but never one in Germany. They all look so awesome though. Love me some mulled wine! Dusseldorf is one place I have been wanting to see if I ever make it to Germany. Sounds like the holidays is one of the best times to visit. I have heard so much about German Markets!! I would love to attend this one as they will definitely get you into the festive swing of things.